Fields, roadsides, gravel pits, and other disturbed ground; invading shores, dunes, open forests, rocky openings, and moist habitats. One of the most familiar of all our thoroughly naturalized weeds, originally escaped from agricultural use. Collected on St. Joseph Co., in 1838 by the First Survey. A variable species in stature, pubescence, and color of flowers. The last range from deep reddish purple to rarely white. 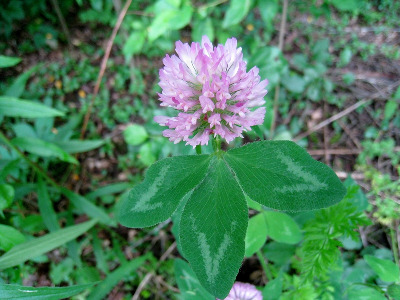 The heads are the largest of any of our clovers, sometimes as broad as 3 cm, and ± spherical; in T. arvense and T. incarnatum they are ± cylindrical. MICHIGAN FLORA ONLINE. A. A. Reznicek, E. G. Voss, & B. S. Walters. February 2011. University of Michigan. Web. 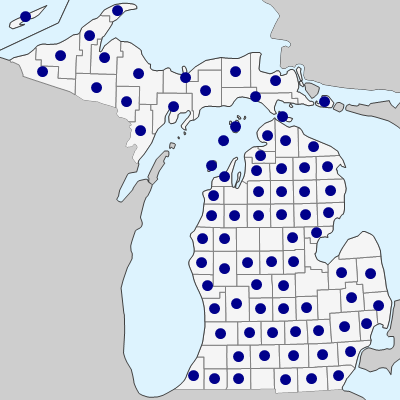 April 18, 2019. https://michiganflora.net/species.aspx?id=1357.